This new course balances a strong grounding in the two component subjects with the chance to explore the ways in which historical and political understanding together illuminate the modern world. Our course provides the opportunity to undertake intensive study in political science, the history of political thought, a wide variety of modern British, European, American and world history, conceptual issues in political science, and quantitative methods. You’re taught by some of the most eminent academics in the world in their subjects. Staff in the Faculty of History and in the Department of Politics and International Studies (POLIS) have a wide range of shared interests in political and international history, and the historical origins of contemporary domestic and international politics and political ideas. 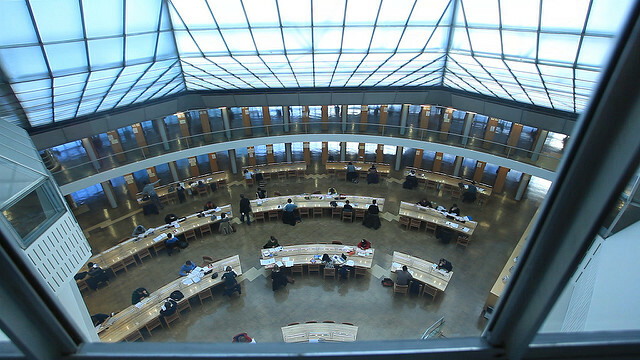 The Faculty of History has a teaching staff of more than a hundred, and the Seeley Library (one of the largest history libraries in the world) contains books and journals covering history and politics and international relations. The Department of POLIS has particular research strengths in international politics (including foreign and security policy), comparative politics and political thought, and is home to four research centres and around 30 teaching staff. The University Library is also situated nearby, which means that finding the right book is rarely a problem, and there is a wealth of rare materials and manuscripts within collections in Cambridge suitable for students’ research. There are no compulsory additional course costs for History and Politics. Students are not required to buy any books in support of their studies, as these are very well provided by University and College libraries, though some students find it useful to purchase their own copies of a small number of core texts. Some students incur additional costs as they pursue their dissertation research (e.g. for travel). However, College and some departmental funding is often available to cover such expenses, and travelling is by no means obligatory in order to prepare an outstanding dissertation. Full course details are available on the Faculty of History website and if you have any queries about resources/materials, please contact the Faculty. It’s possible to change from History and Politics after Part IA (Year 1) or Part IB (Year 2) to History or to Human, Social, and Political Sciences. In some cases, it may be possible to change to other courses (providing any subject pre-requisites and other conditions are met). Students on other courses may be able to change to take up History and Politics from Part II (it’s not normally possible to transfer to History and Politics at Part IB). Students who take this degree will acquire a range of skills that are attractive to employers: the ability to work independently, to evaluate and discriminate between evidence, and to present arguments clearly and persuasively. Recent graduates from the History degree and from the Politics and International Relations track of the Human, Social, and Political Sciences (HSPS) course have gone on to careers in the media, law, public administration, finance, teaching, and the charity sector. See the History course and HSPS course pages and the Careers website for more information about what our students go on to after Cambridge. You take four papers in each year. Teaching is provided through faculty/department lectures and classes and College supervisions, for which you typically write an essay and which give you the opportunity to discuss your ideas with a senior academic. In the first year, you can expect between eight and 10 hours of lectures and classes a week, along with one or two supervisions. You’re assessed at the end of every year – mostly by three-hour written exams, though some papers are assessed by coursework and in the final year you can substitute one paper for a dissertation. The first year provides a core grounding in historical knowledge, intellectual history, political science and international relations. In Year 1, all students take Evidence and Argument, The Modern State and its Alternatives, and International Conflict, Order and Justice. You also choose a history paper from a range of topics, including various periods of British history (covering 1485 to the present day), European history and North American history. For the fourth paper, you can either study Statistics and Methods or write two 5,000 word essays on questions drawn from a wide range of topics in history and politics. All students take an interdisciplinary paper that considers general and thematic issues in history and politics and the relationship between them. You then choose three papers from a wide range of options, including third-year Politics and International Relations papers and History Special and Specified Subjects.. The papers available each year may vary – see the website for those currently offered. Alternatively, you can replace one of these three papers with a dissertation of 10,000-15,000 words on a topic of your choice within the scope of the course. For further information about studying History and Politics at the University of Cambridge see the Faculty of History website. See History and Politics: Subject Requirements and Typical Offer by College for College-specific requirements/preferences. All undergraduate admissions decisions are the responsibility of the Cambridge Colleges, so please check College websites for further details. Applicants not offered a place for History and Politics may be considered for the History and/or Human, Social, and Political Sciences courses. Applicants for History and Politics are required to take the History pre-interview written assessment at an authorised centre local to them (for a lot of applicants, this will be their school/college). See History admissions assessment for more information about the assessment format, and to download past papers. Faculty of History - Explore History and Politics in more detail on the faculty website.